Have 3 of these – been on 2 others …. How close do cars get? and does wearing hi viz clothing make a difference? Researchers from the University of Bath and Brunel University found that no matter what clothing a cyclist wears, around 1-2% of drivers will pass dangerously close when overtaking. They also found that compared to Transport Research Laboratory findings in 1979, drivers today on average pass 61cm (2ft) closer to cyclists – 118cm compared to 179cm. 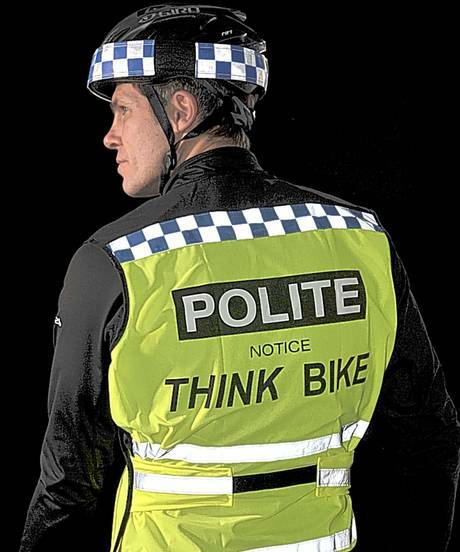 The paper – The influence of a bicycle commuter’s appearance on drivers’ overtaking proximities: An on-road test of bicyclist stereotypes, high-visibility clothing and safety aids in the United Kingdom – will be published in the journal Accident Analysis and Prevention. Author richdirectorPosted on November 27, 2013 Categories bikes and cyclingTags accidents, Bath University, clothing, cycling, hi viz, High-visibility clothing, near miss, safetyLeave a comment on How close do cars get? and does wearing hi viz clothing make a difference? been thinking of this bike more – this from their own blog so none of my words …..
Our boundary-blurring and irrepressible Croix de Fer might look a little niche on paper to many, but, in reality, it’s our best-selling model by a country mile. It tentatively falls under the ‘cross’ section, but, truth be told, we really could’ve picked from an abundance of similarly suitable tags. A large part of the models’ success is undoubtedly down to its incredible versatility. Perhaps ‘Jack-of-all-trades’ might’ve been more apt. The ‘Croix certainly slots nicely into the ‘one bike’ mantra for many of you, sitting directly in the no-man’s land between road and dirt (and everything in between), and that’s exactly how we intended it to be – designed from a ‘see it, ride it’ perspective. 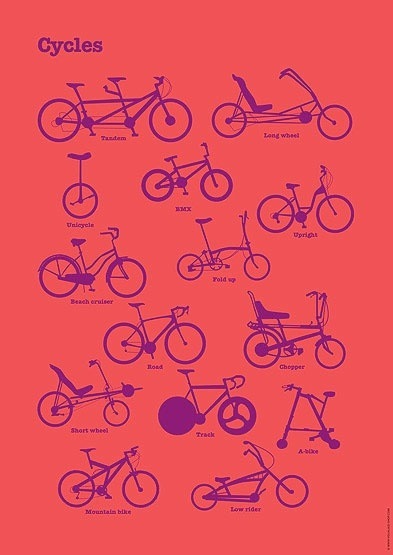 A bike for exploring with! Probably the biggest and most obvious improvement is the move to an inboard-mounted disc caliper. Many of you had expressed the faff of fitting a rear rack and mudguard to the previous design, having to space out the stays to clear the disc caliper. With the new design they’ll bolt straight on saving you having to rummage the parts bin to fabricate a suitable longer bolt and spacer combo. It also means that the rack no longer has to be a disc-specific model (with built-in clearance for the caliper). We know a lot of you use the ‘Croix predominantly on tarmac so perhaps found the dedicated CX knobbies a little OTT for daily duties. On the other hand we didn’t want to completely abandon its off-the-beaten-path capabilities. Step forward the excellent compromise that is Continental’s semi-slick Cyclocross Speed 35c tyres. The lower profile diamond file centre tread will hopefully give a faster rolling performance on tarmac and hard-pack surfaces whilst the side knobbles should mean enough grip and traction for any off-road jaunts. 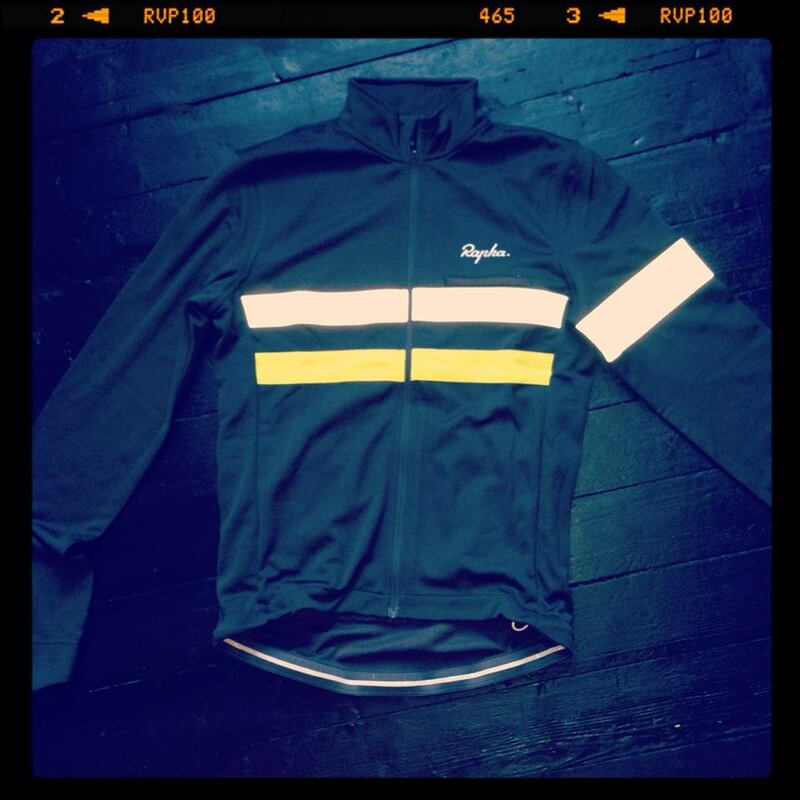 We’ve upped the gear range via a 12-30T cassette out back. Combined with the compact 50/34T Tiagra chainset up front it should give enough low-range spread for fully-laiden touring adventures into the unknown. Hayes excellent CX Expert (formerly CX5) mechanical disc brakes take up the stopping duties. They give a nice a nice positive braking feel thanks to the stiff, forged one-piece caliper and include an integrated barrel adjuster for cable adjustments. We’ve offset the slight weight gain in the caliper body with their L-Series lightweight drilled rotor, so the overall is comparable to last years’ Avid BB7 setup. If you want to get really pedantic then I guess you could argue we’ve dropped rotational weight also. The new M:Part Elite sealead cartridge bearing headset and upgraded Shimano Deore M525 6-Bolt hubs (vs. Shimano M475) should mean smoother steering and rolling for many a mile and drastically reduced service intervals. My first really cold ride, at -6C, was in January last year doing the the Strathpuffer 24. but preparation made it easy with ice spike tyres …. and enough layers to make an onion scared. I couldn’t stand the thought of riding indoors again, especially for a two-hour ride. Some will call it justification, but I prefer to call it logic. Cycling outdoors in the fresh air and sun would be much better for my mental and physical well-being than riding an indoor trainer for two hours. No, I didn’t have to ride outdoors; it was a well-thought-out choice, a preference. After doing that first really cold ride, I now know that I can do it and I much prefer being outside than inside. If the roads are snow-packed or icy, try to choose a route that has low traffic volume. Minimize long downhill sections to avoid getting cold from wind chill. A mountain bike, with its wide tires, is more stable than a road bike. Run lower tire pressure to increase traction and handling. Ride with a buddy so that if one of you has trouble, there is another person to lend a hand. Carry disposable chemical hand or toe warmers. They can be put in your shoes if your toes get cold, or can be used to warm your hands if you have to do a mechanical repair. Have someone available to pick you up if you call for help. 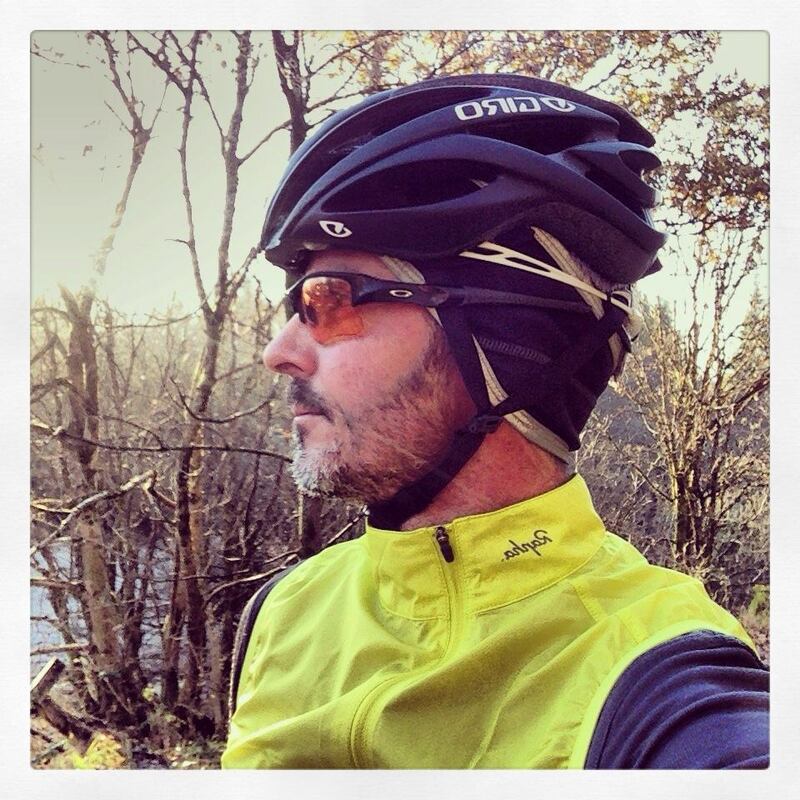 HOW DO YOU DRESS FOR SUB-FREEZING CYCLING? 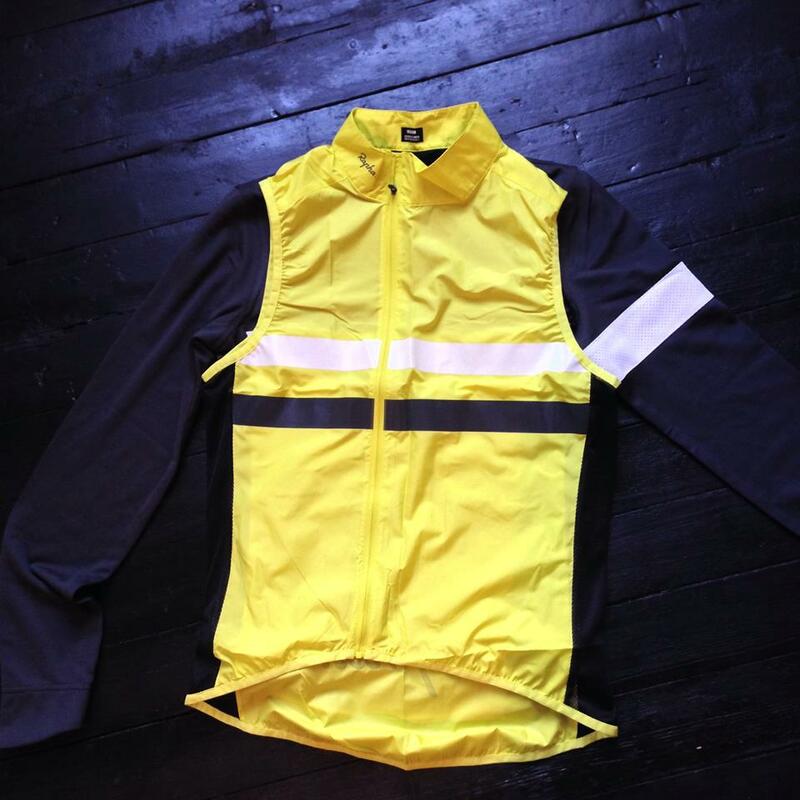 I’m sure you already know that some people show up in a jersey and knee warmers for the same ride that someone else will be wearing leg warmers, arm warmers, a vest and a base layer shirt. I’ll give you my personal preferences for cold-weather riding gear, but know that I get cold easily. 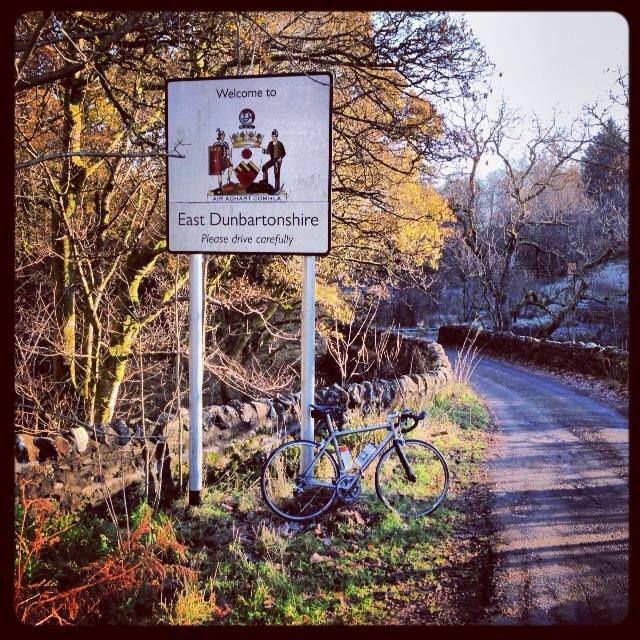 Recently, I did a ride where the temperature ranged from 10.9 degrees to about -2C degrees, not counting wind chill. I’ll take you through my outfit from head to toe. If the weather gets colder i sometimes wear my Nike running tights over the cycling bib and a thicker jersey over the long sleeve on instead of the Gilet. A neck warmer is handy too for the chin. WHAT ARE YOUR TIPS FOR WINTER ADVENTURES? 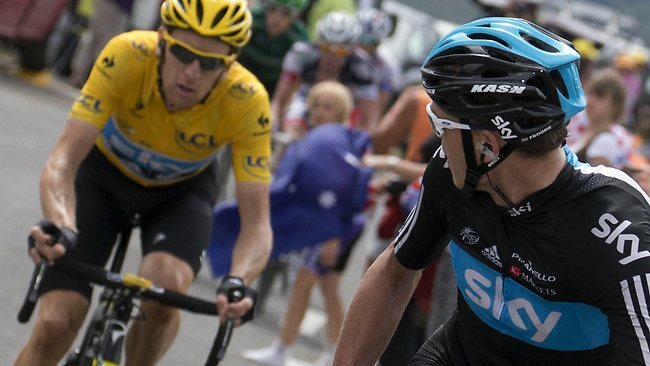 did wiggo hold back on froome? A new book claims that Sir Bradley Wiggins snubbed Team Sky colleague Chris Froome after winning last year’s Tour de France – by splitting his prize money with all his other team-mates, excluding the man who would this year succeed him to the yellow jersey. In his book, Inside Team Sky, Sunday Times chief sports writer David Walsh says that Wiggins eventually paid Froome the money during the week of this year’s World Championships in Florence – 14 months after the race finished, and on the insistence of team principal, Sir Dave Brailsford. Besides the €450,000 for winning the General Classification, Wiggins would also have earned money for stage placings, including €8,000 for each of the two time trials he won – and for days spent in the yellow jersey. Froome finished runner-up to Wiggins in the race – which would have netted him €200,000 – but Tour de France tradition dictates that overall winner shares his prize money with all the riders who help him win. Tensions ran high between Wiggins and Froome in the second half of the race after the latter appeared to attack his team leader on Stage 11 to La Toussuire-Les-Sybelles, slowing down to wait for him only on the orders of sports director, Sean Yates. The incident sparked a row on Twitter between Wiggins’ wife Cath, and Froome’s now fiancée, Michelle Cound. There was another exchange towards the end of the final mountain stage of the race that suggested all was not well in the Sky camp, with Froome gesticulating at the Tour’s winner-in-waiting. Walsh’s book is already on sale through Amazon, including for Kindle devices and apps, and should hit bookstores this weekend. He confirmed on Twitter that the episode regarding Wiggins, Froome and the payment of the bonus is included within the book. Author richdirectorPosted on November 25, 2013 January 29, 2014 Categories bikes and cycling, Racing, Road bikesTags Bradley Wiggins, Chris Froome, Dave Brailsford, froome, Sean Yates, Team Sky, Twitter, wiggins2 Comments on did wiggo hold back on froome? Raleigh has released its 2013 SSCXWC Limited Edition steel singlespeed-compatible frameset. The zany, crazy excuse for a party and a few tattoos called the Single Speed Cyclocross World Championships (SSCXWC), founded by Portland’s Dani Dance, is getting ready for its annual return. This year, for the first time, it’s straying from the wrong coast and moving far east to the City of Brotherly Love, Philadelphia. 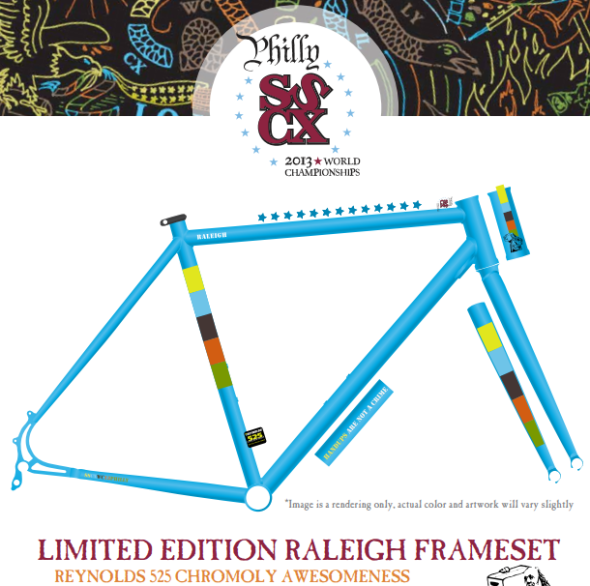 And just as with past events, Raleigh Bicycles has teamed up with the promoters to release a new, limited-edition SSCXWC frameset. 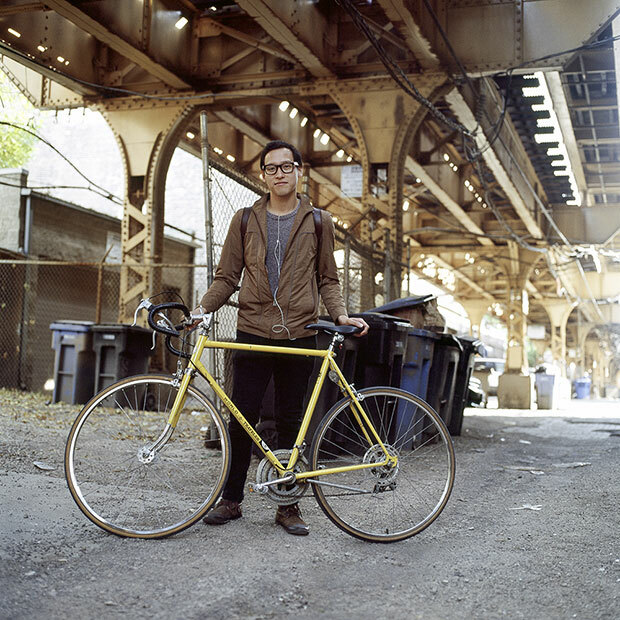 We first saw this special edition in 2009 with the2010 white and brown Raleigh SSCXWC aluminum singlespeed-specific framesets, and then a year later with the svelte, singlespeed version of the carbon RXC frameset that also came in the team Hodola colors.